The path from the twin tops of Pike o'Blisco can be made out running down towards Red Tarn (not in the frame). 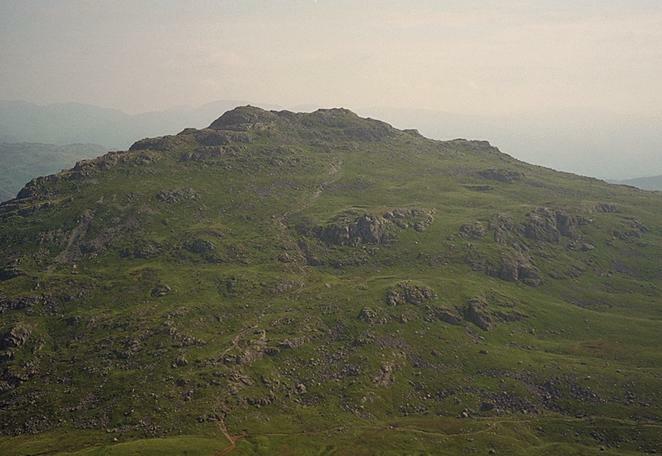 On the horizon, to the left of the true summit, the cleft of Grisedale, between Dollywagon Pike and Fairfield, can be seen through the haze. Smaller version of this picture.